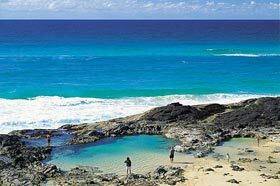 A stepping stone to Fraser Island, famous for its unspoilt beauty and dingo population only a stone’s throw away. Fraser Island is popular for fishing, 4-wheel driving on the beach and lakes which are thought of to have therapeutic benefits. Mid July through to early November is whale watching season in Hervey Bay. 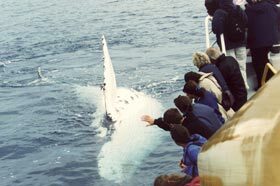 Still regarded as one of the best places in the world to view the majestic humpback whales on their annual migration from the freezing Antarctic waters to the warm coastal waters of western and eastern Australia and then return south again with their calves after breeding season. 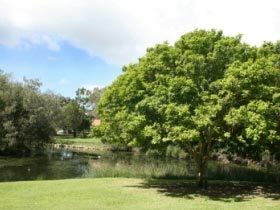 Hervey Bay’s beautiful Botanical Gardens are a short walk away passing the famous Vic Hislop Shark and Whale Information Centre. 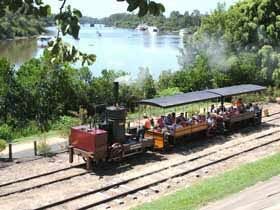 Discover the amazing architecture of Maryborough Historical sites, or take a ride on a miniature steam train though Queens Park and markets on the last Sunday of the month. 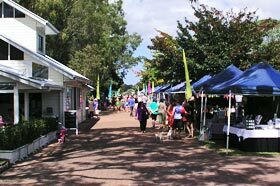 Pier Park Family Markets - 1st and 3rd Saturday from 8 am till 1pm you can browse over 100 stalls of genuine quality products, sit back and enjoy freshly cooked food while listening to professional musicians then take home some fresh local or organic veggies from our regular providers. 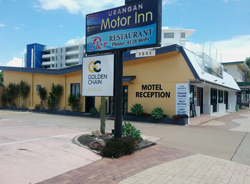 Including Golf, Lawn Bowls, Wind Surfing, Kayaking, Jet Ski Fraser Island, Stand up Paddle Boarding, Daily Cruises on Beautiful Hervey Bay and walking the many kilometres of unspoilt coastline.